Roller shades have been around for decades. From the heavy room-darkening vinyl shades to now, they’ve withstood the test of time, and they’re still a great choice for many homes. 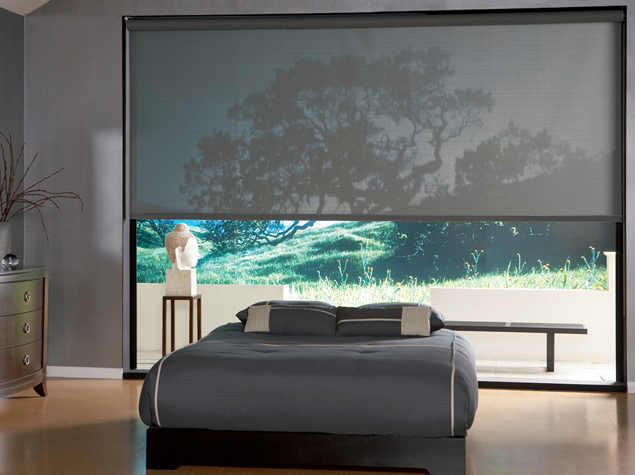 If you’re interested in seeing the full line of beautiful Hunter Douglas roller shades, talk to a trained specialist at Blinds & Designs here in San Francisco. Are you aware that an untreated window can lose up to 50% of your home’s heating and cooling energy? 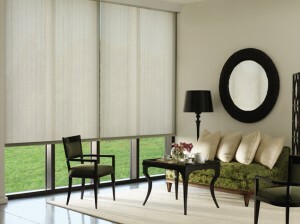 Blinds and or shades have been designed to reduce the amount of solar heat that passes through the window. It is referred to as the Solar Heat Gain Coefficient (SHGC). Your windows should be treated as a function (reducing energy costs) first; then you can add a softer touch with something like draperies. Any shades or blinds that carry a vertical line can be pulled up and totally disappear under a valance or blend into the woodwork. 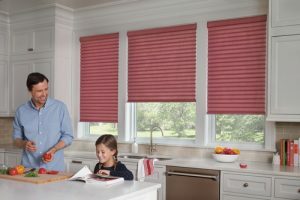 Hunter Douglas Designer Roller Shades come in many different colors and textures that will not only enhance your window but also insulate it, keeping your home warmer in the winter and cooler in the summer. 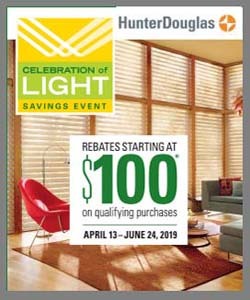 The Hunter Douglas Designer Screen Shades Collection provides excellent UV protection through a great selection of translucent fabrics that allow you to enjoy the view of your outdoors. Blinds & Designs offers a full line of quality window treatments to homeowners and commercial clients throughout the San Francisco and Marin County areas, including Burlingame, Hillsborough, Atherton, and Los Altos. With an ongoing commitment to high quality products and exceptional service, we’ve been serving our communities for over 14 years. 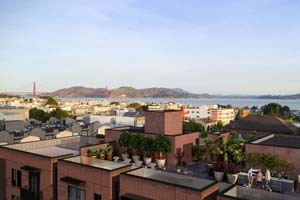 Stop by our showrooms in San Francisco or Tiburon to see a variety of motorization displays in our showroom or call 415-921-4212 Ext 101 for more information.